Actionable steps to advance women in tech. We’ve heard the stories. We’ve read them, we’ve lived them. Now, let’s change them. Get access to new insights on Canadian women in tech. We’re creating actionable steps to advance women in tech. Women in Tech World is a national nonprofit organization that is dedicated to creating community action plans and educational programming to support and advance women within the tech industry. We’ve listened to over 1,600 voices from Canadian women and men in the tech industry. 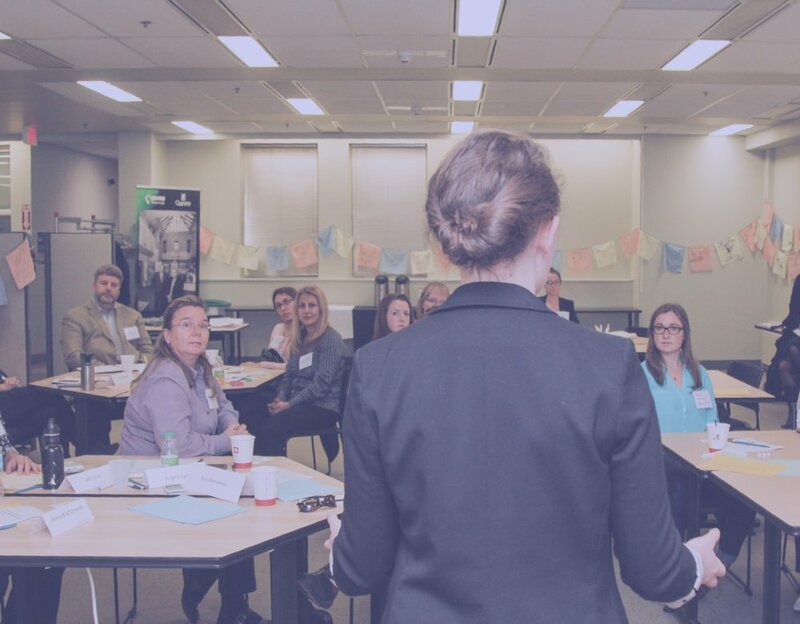 We embarked on a national community-based research tour, resulting in the largest qualitative data set about women in the Canadian tech space. Qualitative research uncovers trends in thought and opinion, allowing us to dive deeper into the problem. We want to empower communities to change the story of women in tech. We know it won’t be solved tomorrow, but we’re in it for the long haul. Make an impact on the Canadian tech industry. Let’s make tech an even playing field. Help us answer the questions around inequity by helping us continue our research and community outreach.